Hire them for your party or event. 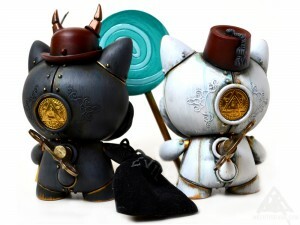 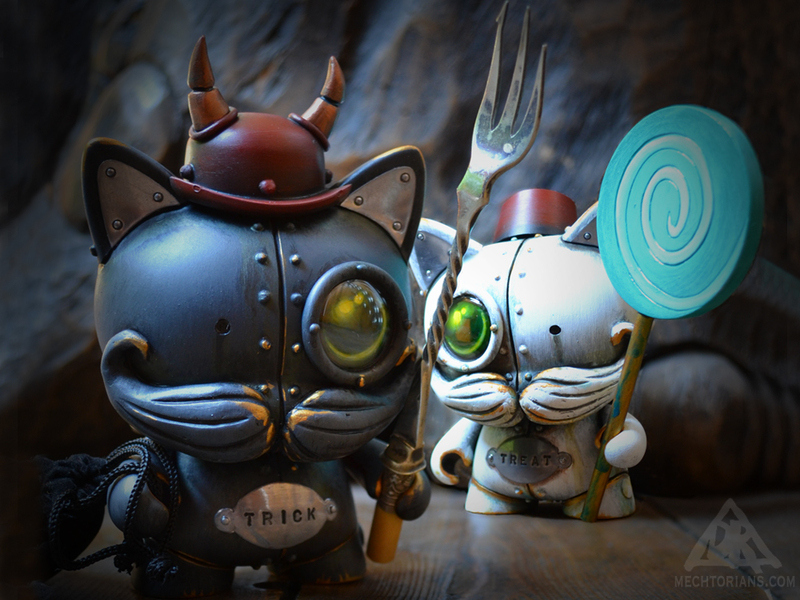 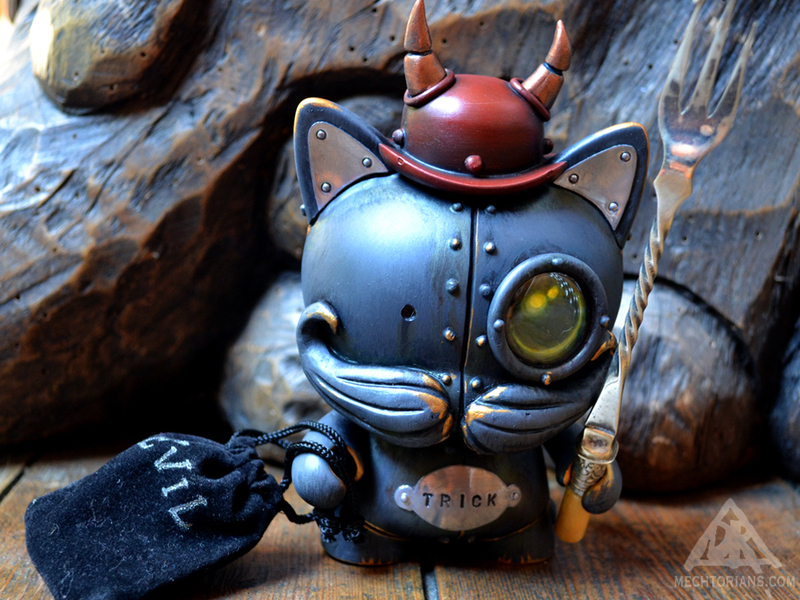 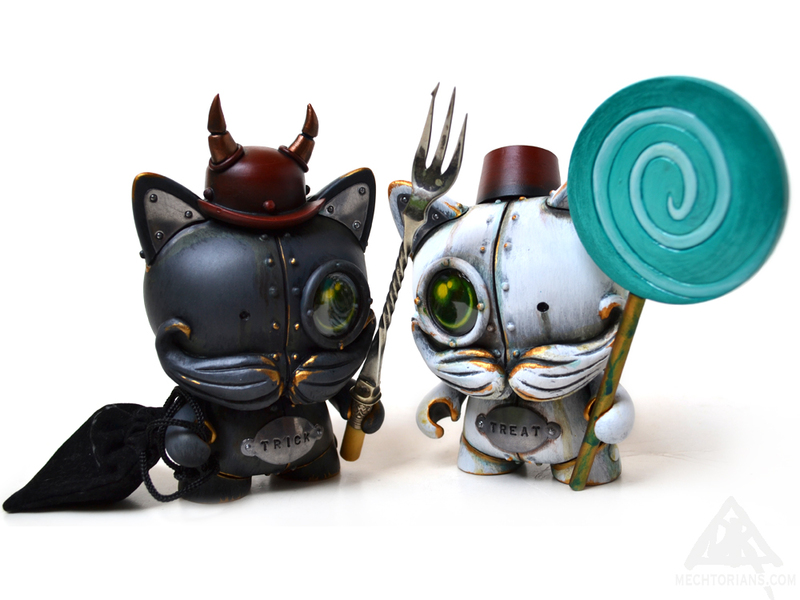 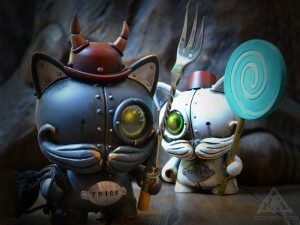 As payment they may steal the family silver or cook you a delicious cake..
Customised “Trikky” toys by Kidrobot. Vinyl, Rubber, lead, Epoxy resin, Polymer clay, Brass Vintage clockwork keys and vintage silver trident.